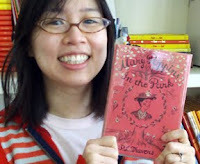 IndieBound Description: Who else but Mary Poppins can lead the Banks children on such extraordinary adventures? Together they all meet the Goosegirl and the Swineherd, argue with talking cats on a distant planet, make the acquaintance of the folks who live under dandelions, and celebrate a birthday by dancing with their own shadows. And that's just for starters! 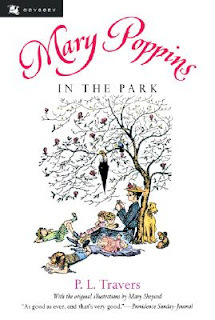 My Thoughts: I love the Mary Poppins books, and this one is my favorite of them all. Don't miss any of them, and don't take the Disney movie as a guide. Mary Poppins as a character is actually quite grumpy and much more of a character than the movie portrayed her. For some, that might be a bit of a surprise but the stories in the books are much more magical and wonderful than the adventures shown in the movie. There is a part where a boy statue comes to life to play with the Banks children for just one afternoon. After reading that story, I was never able to just look at statues without imagining their personalities. My edition is the same version as the one I read as a child!